Which of these TV series set in Denver (The Mile High City) is your favorite? (Note: Reality TV series are excluded). If I missed one please let me know I'll gladly add it to the list. 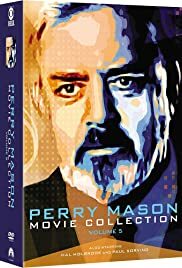 TMS it is the TV Movies series Perry Mason about 25-30 of them. Not the 1957 series. That was L.A.
And Very little of it. A lot of segments are with the DPD. I'm limiting my list to series set in Denver and excluding reality TV. At least for now. Thanks for the correction on Perry Mason. I've made the change. Thank you for the help. If you want I'll delete my suggestion. Don't want to step on your toes. No No No. Mine are State Based. Some are in Denver. TMS: Is this list intended to cover Denver only, or all of Colorado? "Mork & Mindy" took place in Boulder, and "Dr. Quinn, Medicine Woman" took place in Colorado Springs. I see your point. The list is too narrow to focus only on Denver. I've edited the list to include the entire state of Colorado. Congratulations TheMovieSmith on your 51st live poll! As of 20-Mar-2019 8:35 PM Pacific your polls have 59,018 or more votes, for an average of 1,157 votes per poll. This is the 3,377th Title poll. Such polls have a total of 8,058,673 votes for an average of 2,386 votes per poll.